Mondottica: 15 Years Of Success And More! is a true world citizen. Headquartered in Hong Kong, the group was founded by a Canadian, Michael Jardine, who runs the company by working with shareholders from Germany, Britain, France, India and Australia. From a humble beginning in the year 2003, with the signing of Ted Baker license, in order to further bolster rapid UK growth, a license was signed with the iconic British tailoring brand, HACKETT, and a fine collection of men’s eyewear was launched in the year 2005.The company now boasts of offices and operations in Hong Kong, London, Paris, Barcelona, Brussels, Venice, Moscow, New York and Sydney, with a distribution reach that spans all continents. It is holding licenses for a wide range of lifestyle and fashion brands, that includes, besides Hackett and Ted Baker (worldwide except USA and Canada), names like Pepe Jeans, Ducati, Spine, Maje, Jonathan Adler, Sandro, John Vervatos, Converse, Anna Sui, Cacharel, Cath Kidston, Christian Lacroix, Joules, Karen Millen, Lulu Guinness, Marimekko, and Zoobug, ensuring that Mondottica is ideally placed to cater to a broad demographic of style conscious consumers. 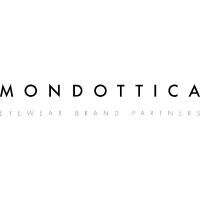 Mondottica UK has launched its India operations through a Joint venture with Vineet Sharma, the Chairman of the new company Mondottica India Private limited (MIPL). He is the Founder and Chairman of the Indian JV of Global Publishing House Parragon Publishing and Chairman of Aureole group, to name a few of his other ventures. A very successful first generation entrepreneur, who for the last 20 years has played a key role in building sustainable businesses between India and other continents of the world, from publishing to fashion eyewear to eco centric tourism. He has been the winner of the Most Dynamic Entrepreneur of the year award 2014, at the Entrepreneur India 4th Annual Awards and the IEBF excellence award at the Global Business Summit 2014, held at the House of Lords. He holds 50 per cent stake in the JV, MIPL. a decade. MIPL has initially launched Hackett, Ted Baker, Pepe Jeans, Spine and Zoobug (kids) collection. MIPL , over a period of time, plans to gradually bring other brands in India. Vineet’s career started with publishing. “I run a company which is quite a large publication in illustrative publication. We started with a big team of 150 employees comprising of editors and designers. Pretty much, everyone who had worked in the newspaper or magazine industry was here. Then I have a company, Aureole Inspecs India Private Limited. This business was started 14 years ago with my partners Stephen and Chris. Chris is my other partner who has been strongly keeping the business afloat and has great experience and learning of the eyewear industry. Protective eyewear is another aspect of our business and as a chairman and guiding force I like how things are going in the right direction for us,” said Vineet. each brand in its portfolio the respect and understanding necessary to create collections with retailers who are best suited to the brand. To its distributors and retail partners it offers an exception, all interesting brands, innovative high quality products, supported by service and programs that can best assure success. To its employees and associates, MIPL strives to offer a company that is rewarding, creative and fun.